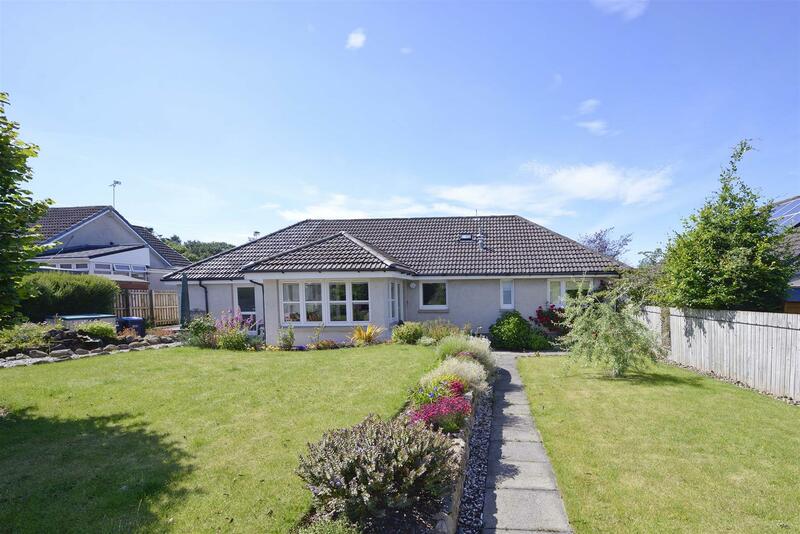 Silverbeck is an extended four bedroom bungalow within an established and popular residential area of Kelso. 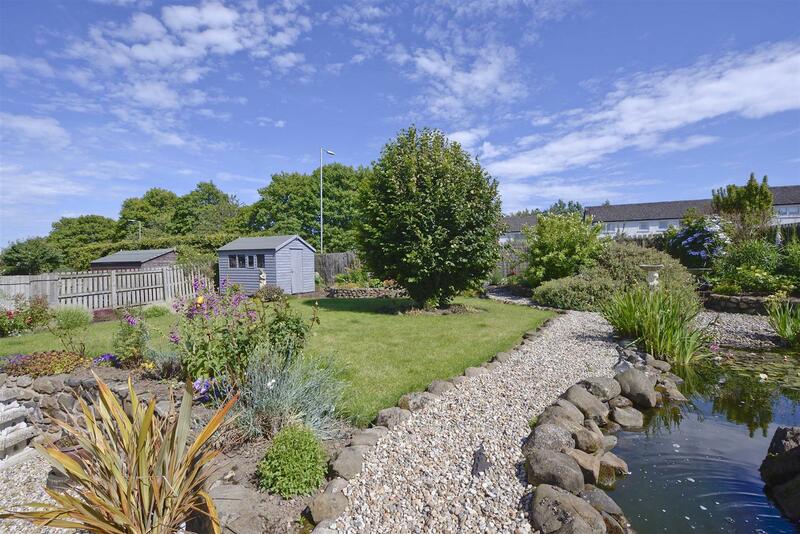 The property has an attractive planted frontage and the benefit of a landscaped garden to the rear with a garden room extension overlooking the beautifully presented gardens with patio, sitting area and feature pond. 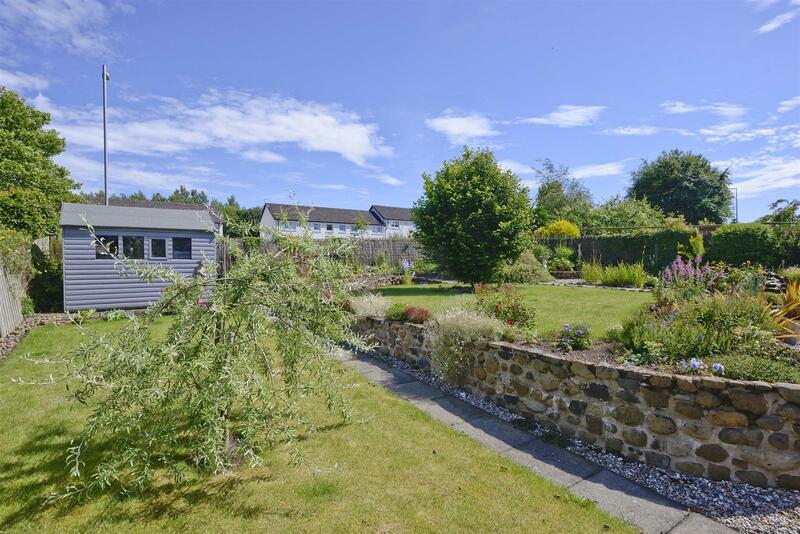 An ideal property for a couple looking to move into the top of the town, well located for access to the nearby Sainsbury’s supermarket and facilities within the town centre itself as well as riverside walks along the Tweed. Kelso, which lies at the meeting point of the Tweed and Teviot rivers, is one of the most attractive and unspoiled towns in the Borders. Notable features are the 12th Century Abbey, the Flemish style cobbled square, Floors Castle and the old bridge across the Tweed. 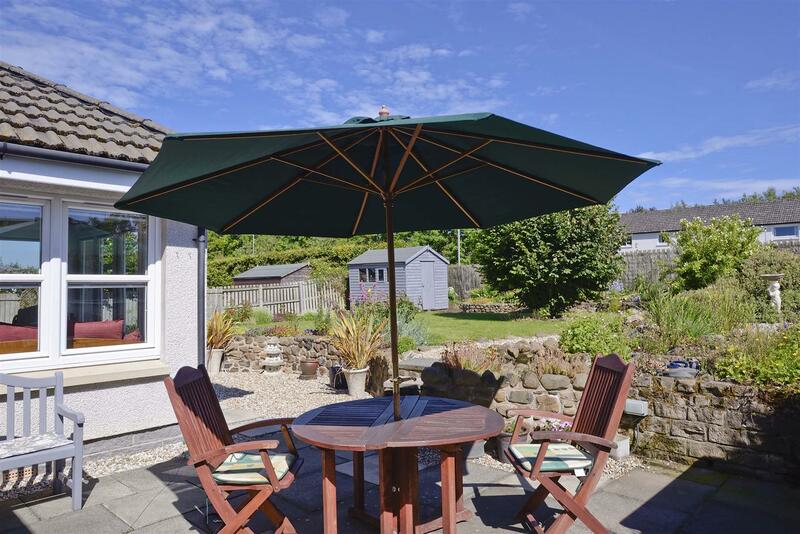 The town has good educational and sporting facilities and many quality shops. 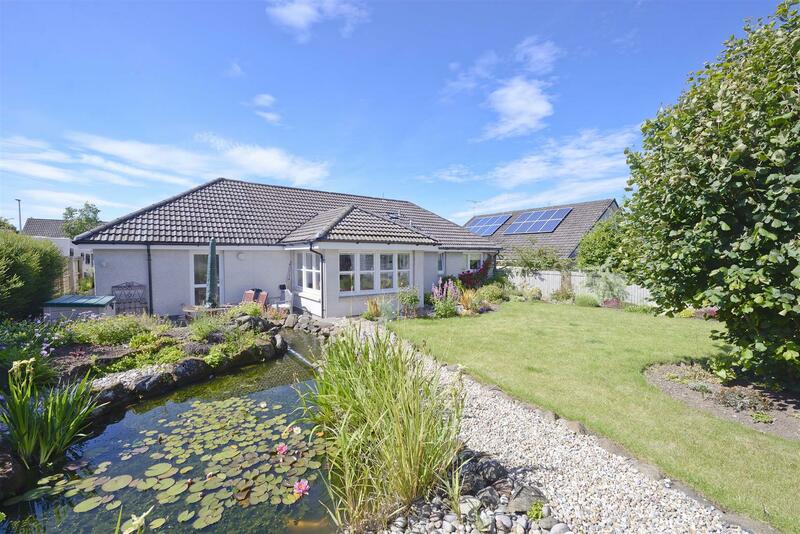 The area has much to offer those interested in country pursuits with fishing on the Tweed and is an increasingly sought after location within the Borders. 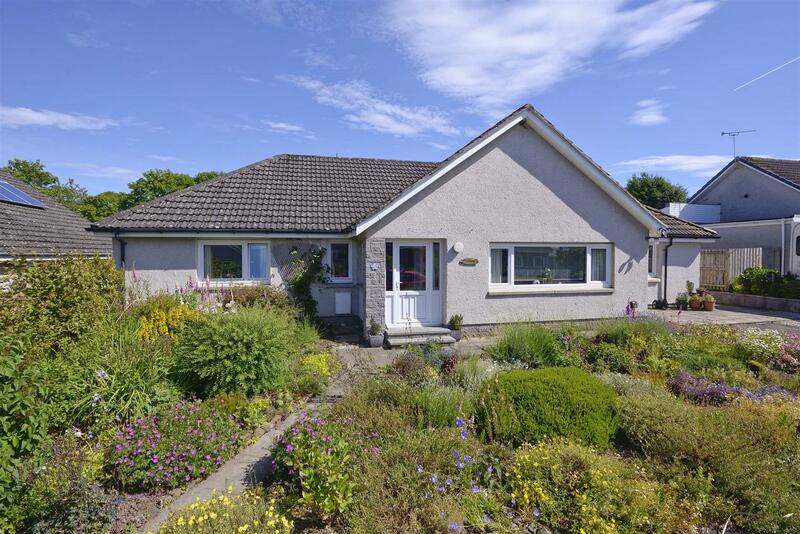 Entrance Vestibule, Central Hall, Living Room, Dining Room, Kitchen, Utility Room, Sun Room, Four Bedrooms, Bathroom and Shower Room. The property has a double drive to the side with paved paths leading to the front entrance and a further side entrance. 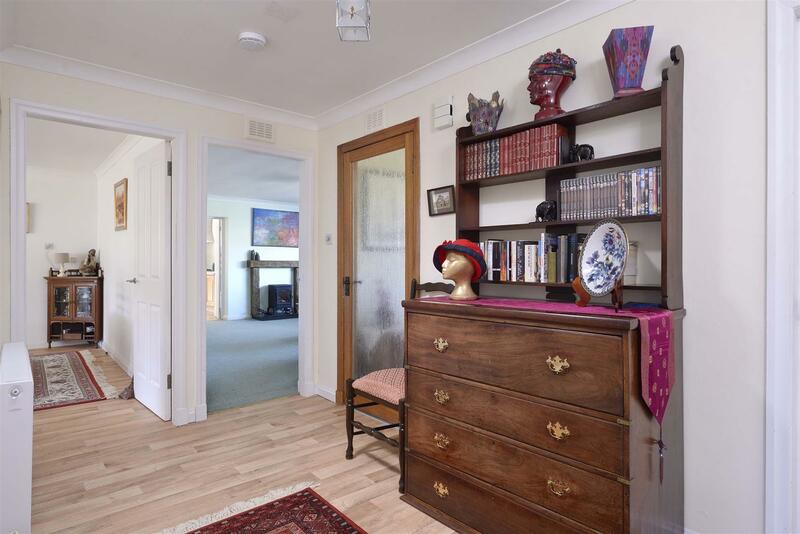 The front entrance vestibule is generously proportioned and fitted with attractive wood effect flooring extending throughout the main hall, dining room and through to the garden room. 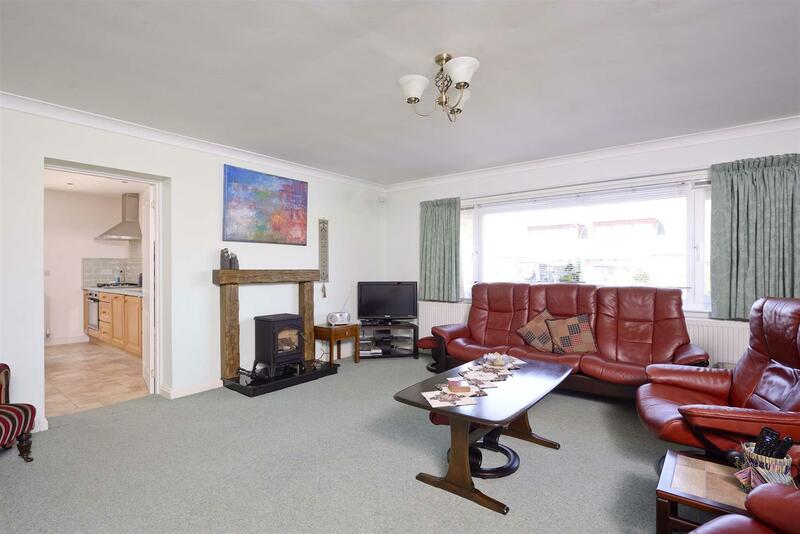 Entering the property there is an immediate impression of space with generously proportioned rooms including a good sized sitting room to the front with feature decorative beamed fire surround and gas fired “log burning” stove. 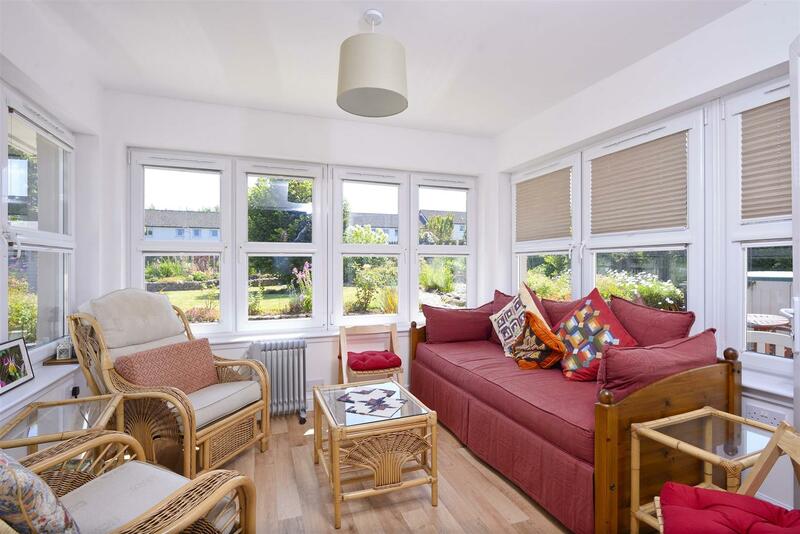 A large window to the front looks over the attractive gardens and the room is a spacious size (approx. 16’ x 14’). 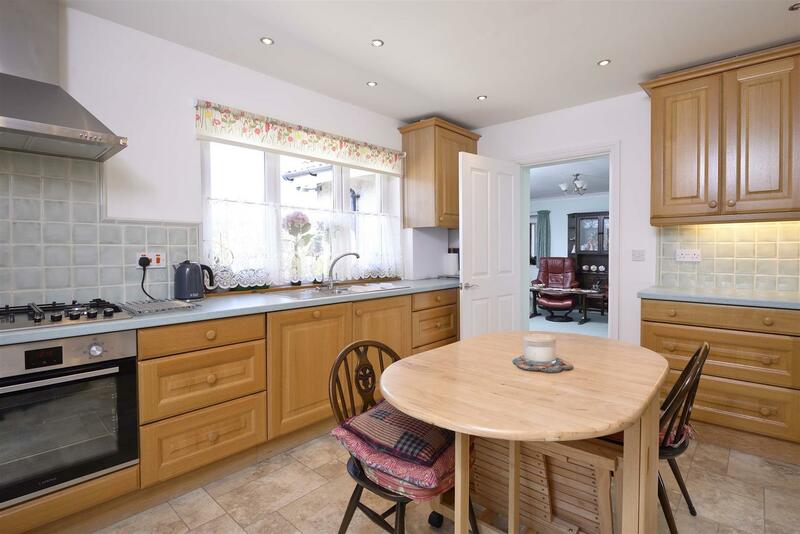 The kitchen has a range of oak fronted units, integral appliances and contemporary worktops with windows to front and side entrance door to garden. 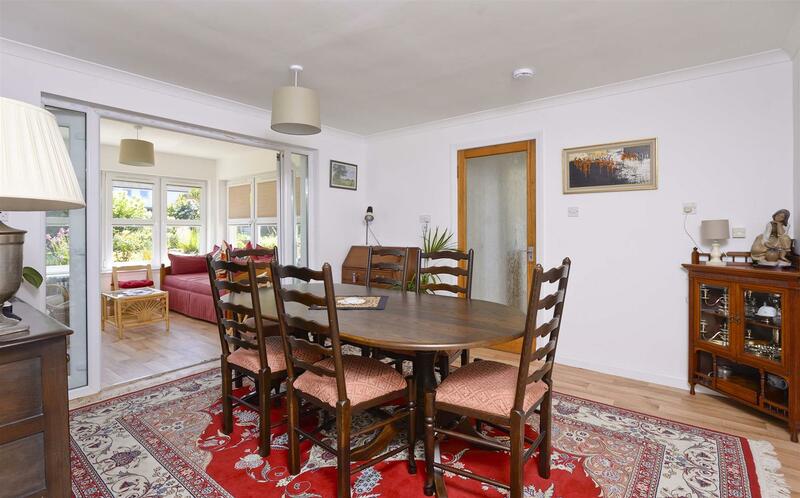 The dining room lies to the rear of the property with double doors opening to a garden room, glazed on three sides and providing a relaxing sitting place with views over the garden, fitted with modern triple double glazed units and is an ideal relaxing space suitable for year round no matter what the weather. 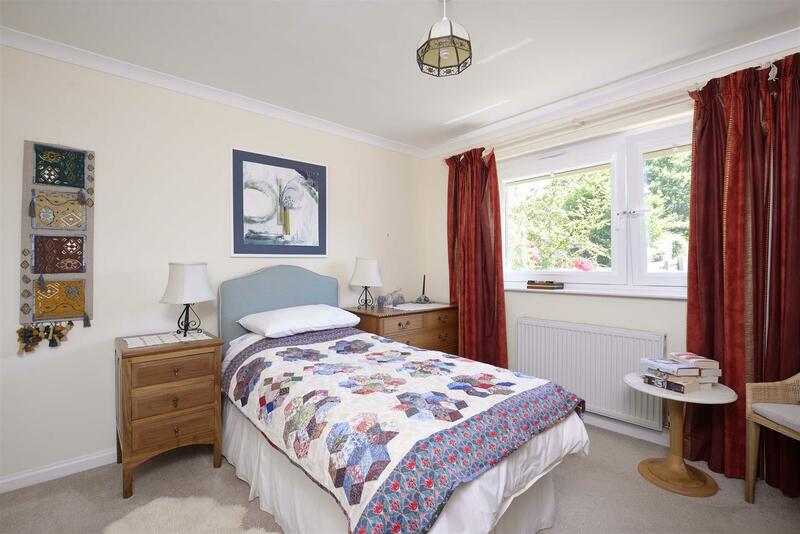 The utility room has ample storage including an airing cupboard and a further walk-in shelved cupboard and double sink with a further door out to the garden. 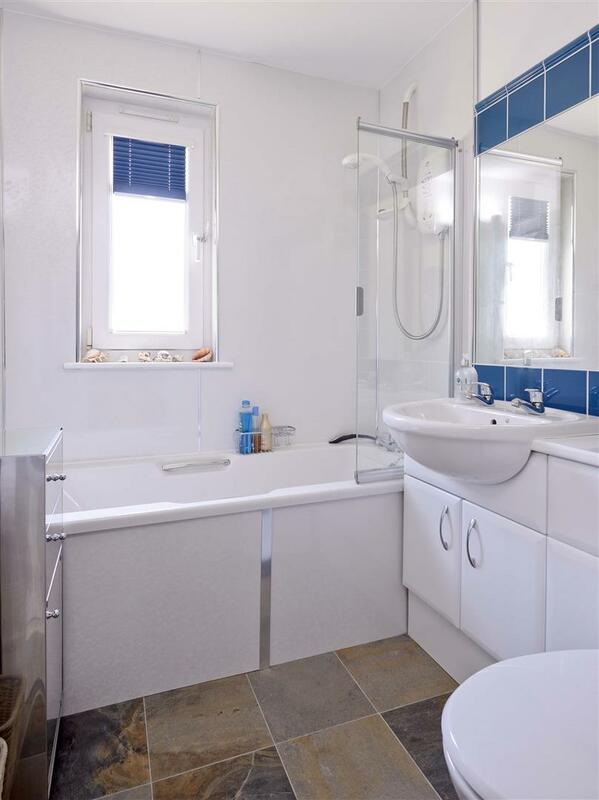 The shower room lies off the utility and is contemporary and stylish with shower panelling, attractive grey slate effect flooring and tiled splashback with white vanity unit and recessed cistern. 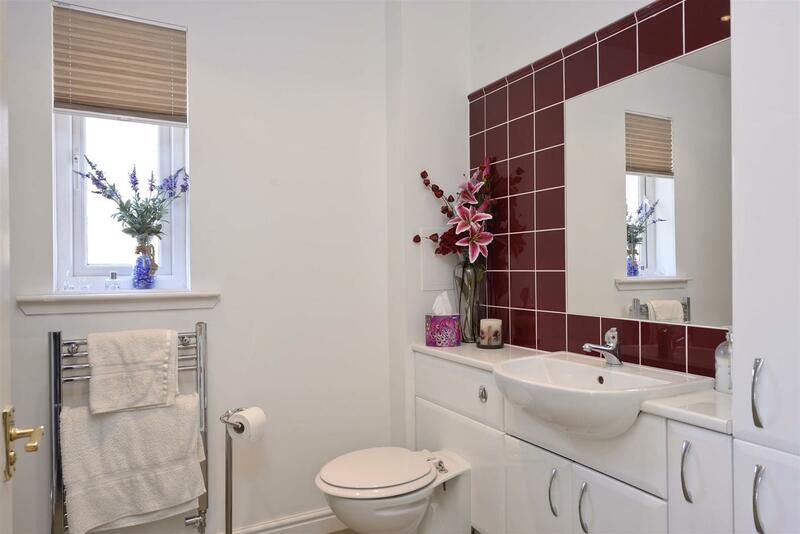 The property has four bedrooms, one presently used as a study, and includes two good sized double bedrooms with built-in wardrobes, one located to the front with adjacent bathroom and again presented in contemporary style with slate effect flooring, bath with shower over, shower panelling with tiled splashbacks, fitted mirror and white WC and bathroom units with recessed cistern. 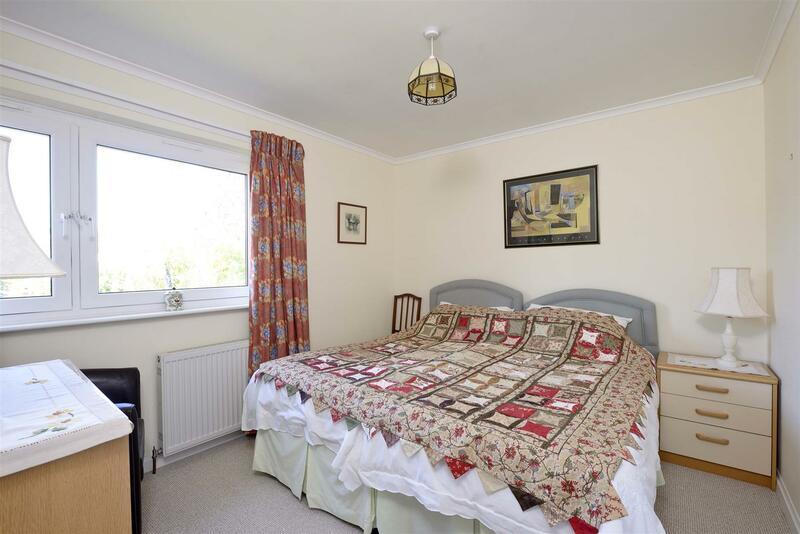 The third bedroom also lies to the back, overlooks the garden and has a shelved cupboard. 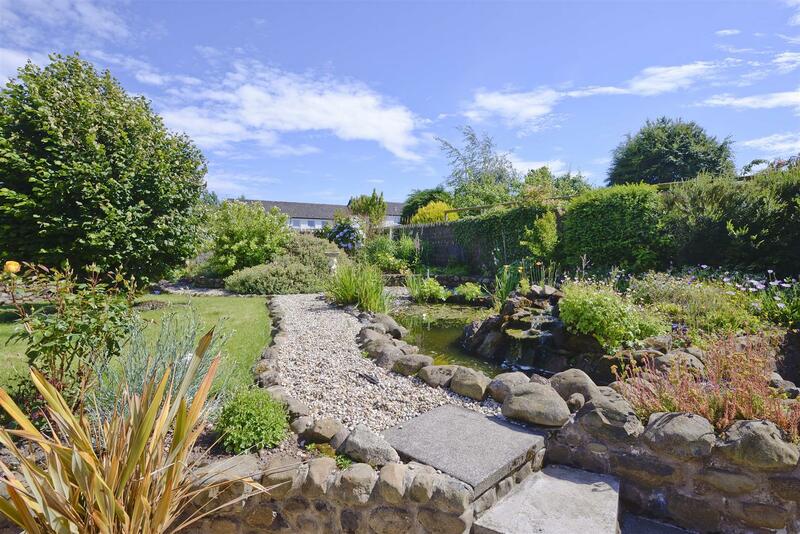 A good sized established landscaped garden lies to the rear of the property which benefits from well-established borders with mature fragrant plantings, feature fish pond, a large timber shed and garden store. 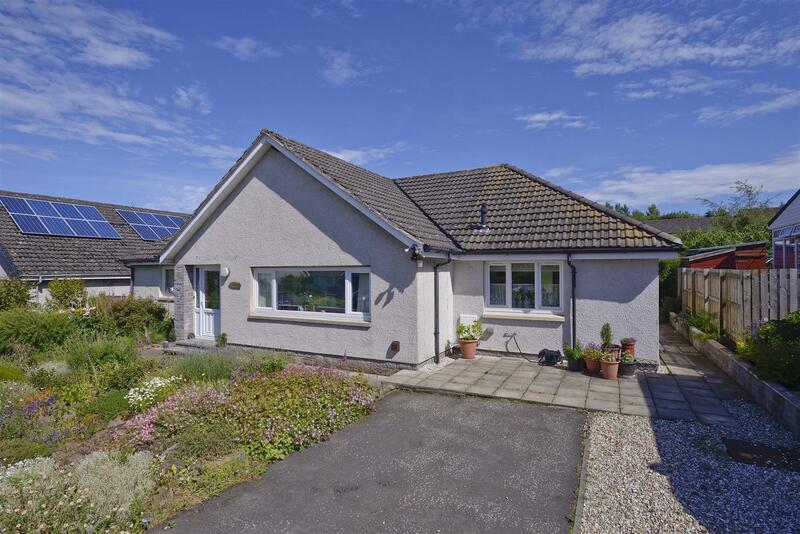 All mains with gas central heating, modern double glazing throughout and ample power points. Entry by negotiation with the selling agents. To arrange a viewing or request a copy of the Home Report contact the selling agents, Hastings Property on 01573-225999-lines open until 10pm 7 days a week.